Damien Hirst, the often controversial but highly important figure of contemporary British art, has opened his own gallery. 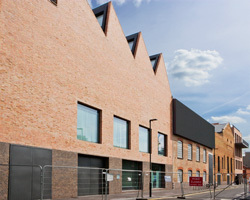 The venue displays Hirst’s collection of over 3000 pieces, but not his own work. The gallery aims to familiarise visitors with the works on display as it hosts one- man shows of six months. The gallery also features a medical-themed restaurant inspired by Hirst’s fascination with medicine. Entry is free.